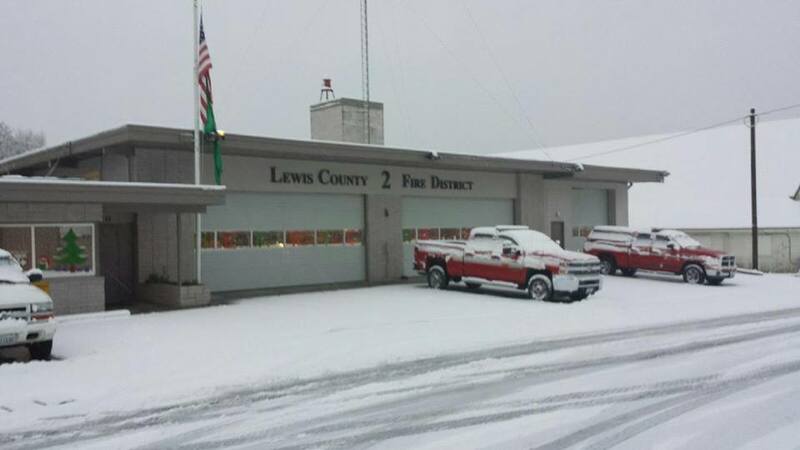 On June 14, Lewis County Fire District #2 celebrated and thanked Commissioner David Beal for his 22 years of dedicated service as a Fire Commissioner for Fire District #2. 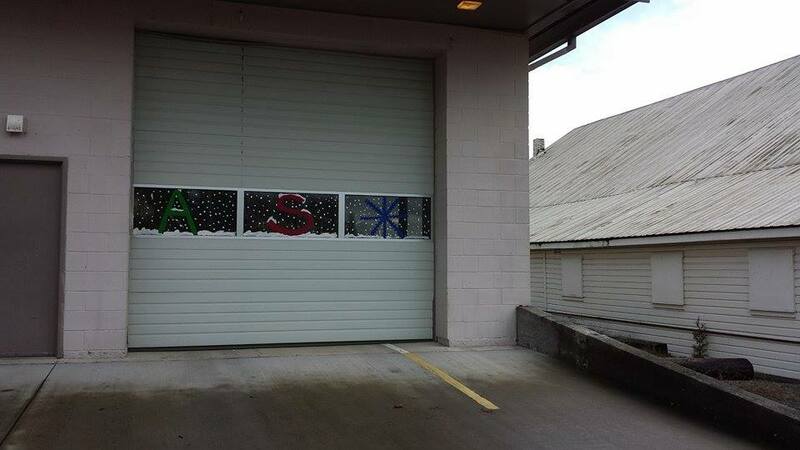 We appreciate all your support in the Fire & EMS services. 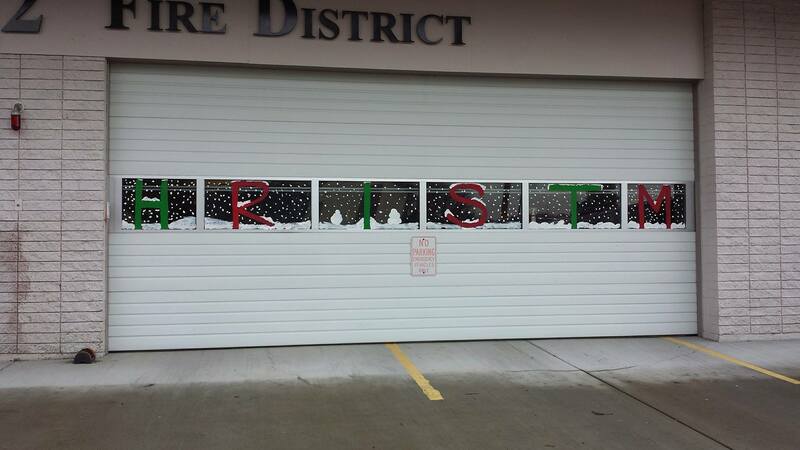 From all of District #2, we wish Commissioner Dave and his wife Freda the best in retirement! 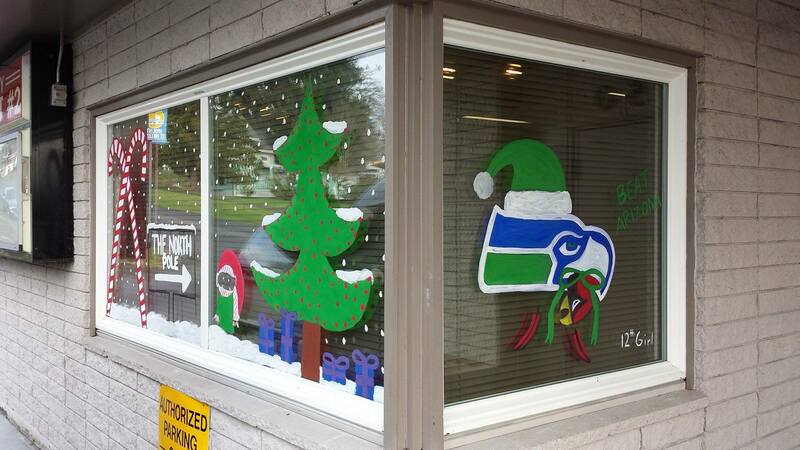 Thank you Toledo High School Art Class for your beautiful artwork! 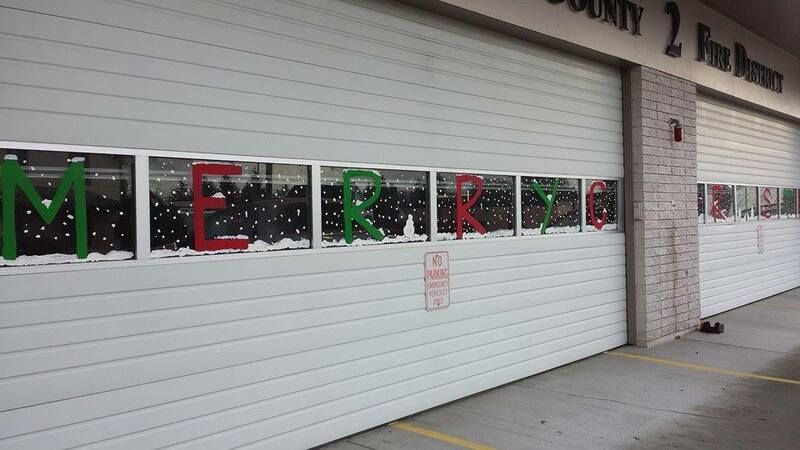 Santa visited the fire station! 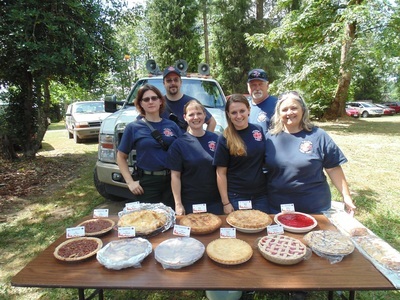 Volunteers gathered at the fire departments' booth during the Cheese Day car show 2016! Caught on Camera: Who you gonna call? Toledo Fire Department suits up and shows up despite searing temps - in fact, the hotter it is, the more likely they’ll be there. 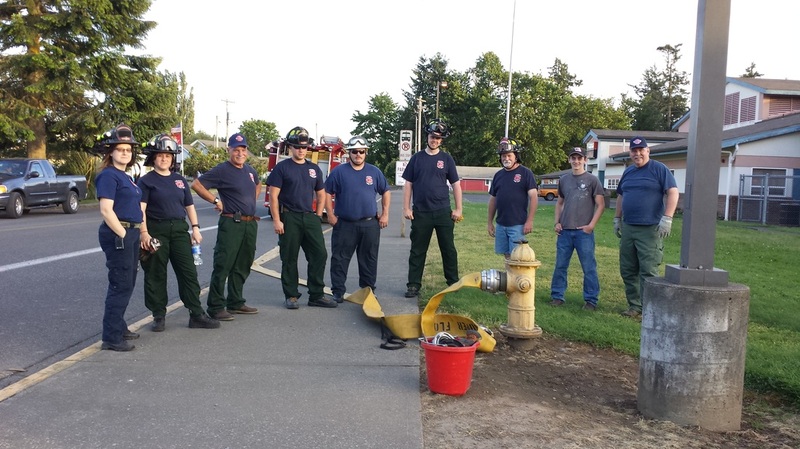 Monday's drill in front of the Elementary School included seasoned veterans, junior firefighters and everyone in between, practicing hydrant hookups with large-diameter hose (the RIGHT way!) and shaving precious life-saving seconds off their techniques. Chris Rust shown on the left getting some practice attaching a hose to the local hydrant. 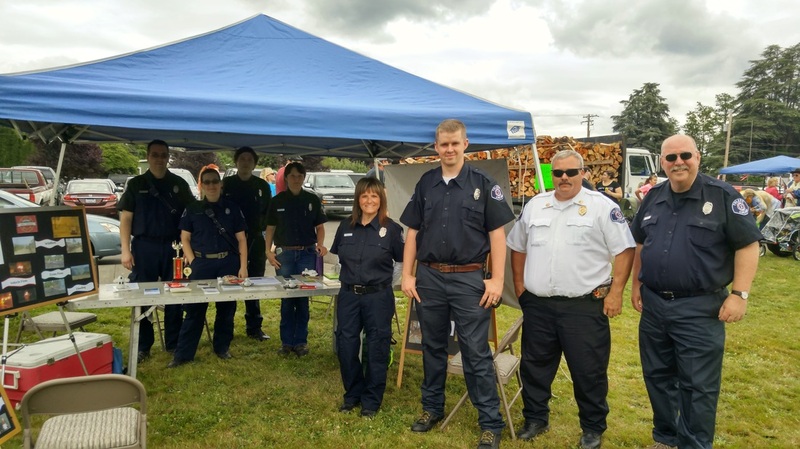 If you are interested in training with the fire department and becoming a volunteer firefighter or EMT feel free to stop by the main station for an application. Thank you Dale Nielsen for your 11 years as our Commissioner! 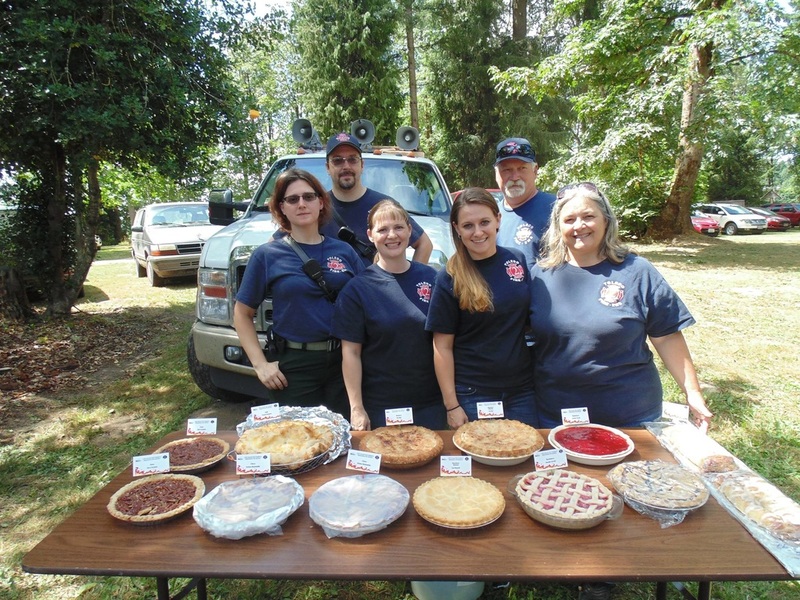 July 14, 2015 ~ Toledo Fire Departments 12th Annual Pie Auction! 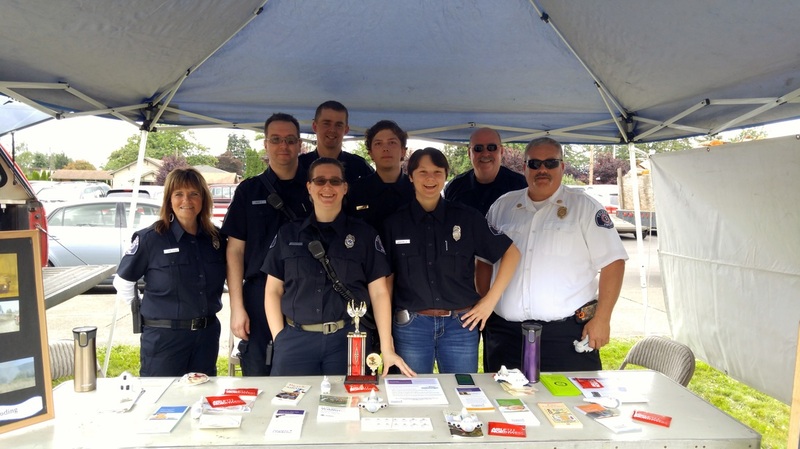 The Toledo Fire Fighter's Association would like to thank everyone who participated in this event. From those who donated pies and time to those who bid and won the pies. 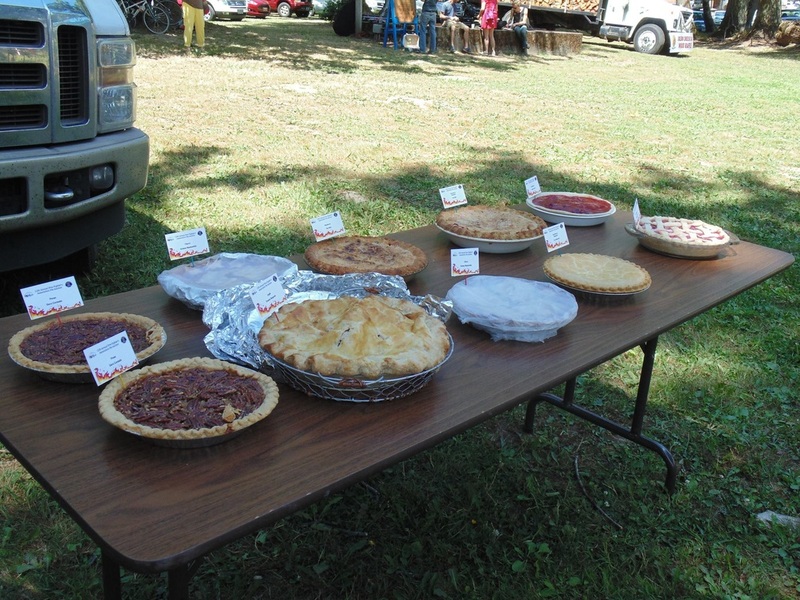 Everyone's efforts came together to make this year's auction a success. 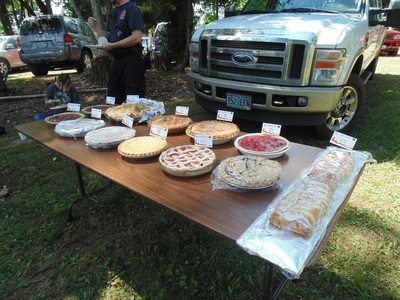 We received 11 pies and 2 strudels from donors this year which combined raised us $1065. All of which goes to restoring a 1939 Dodge Fire Engine, Toledo's very first. Thanks again to everyone!